« Homepage / Gourmet / "Inspired by Memories: chef couple puts a creative spin on southern cuisine"
After talented husband and wife team Allison Vines-Rushing and Slade Rushing closed Longbranch in Abita Springs in the summer of 2007, those who had enjoyed and longed for their wildly popular “oysters Rockefeller deconstructed” creation were elated to rediscover them at their new MiLa restaurant in New Orleans (817 Common Street; 504/412-2580). 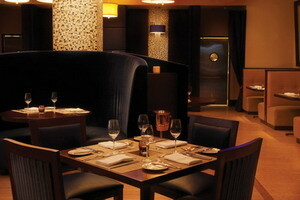 MiLa is located in the newly renovated, luxurious Renaissance Pere Marquette Hotel. 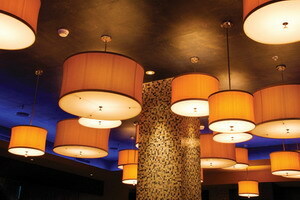 The handsome, contemporary space in the hotel was formerly occupied by Chef Rene Bajeaux of Rene Bistrot. 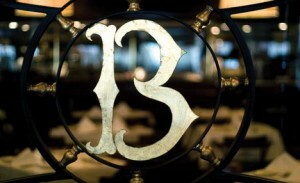 Those who have followed his career in New Orleans will now find him behind the stoves at Chef John Besh’s La Provence. Allison and Slade have created a haven for those who enjoy sophisticated, yet down-home southern dishes prepared with ingredients fresh from local farms that are designed to dazzle the senses. Creamy grits flecked with truffles and pork; filo-crusted redfish with tender spring peas and pearl onions and a lobster emulsion, and a root beer float with the snazzy addition of ginger snap tuiles and Abita root beer sorbet seduce the palate bite after luscious bite. This is comfort food taken to a new level. In short, MiLa is a fabulous new restaurant that is well worth discovering. The concept is food “inspired by the memories and tastes of a southern childhood.” The name MiLa came from a combination of Mississippi, where Slade was born (in Tylertown), and Louisiana, the birthplace of Allison (who is from West Monroe). The two chefs met while in New Orleans; they worked together at Gerard Maras’ Gerard’s Downtown, and moved to New York in 2003, where they blazed a trail on the restaurant scene. Allison was the chef at Jack’s Luxury Oyster Bar. Her husband Slade joined her there from Fleur de Sel. Their popular oyster creation made its debut during their stint at Jack’s. 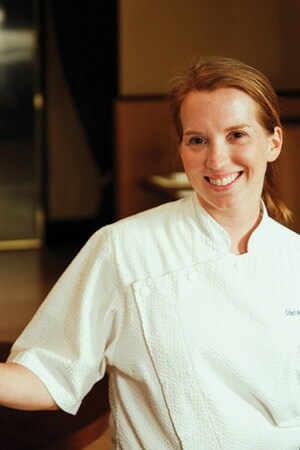 Allison won the Rising Star award from the James Beard Foundation in 2004. Then it was back to the South for this talented young duo. 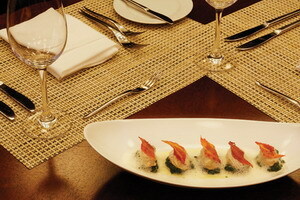 Their popular signature dish, oysters Rockefeller deconstructed, bears little resemblance to its name. Don’t pass up this marvelous, defining dish. Five poached oysters with the taut texture of water balloons waiting to burst (and they do) are accented with thin chips of bacon, wilted spinach, and grated licorice root, then a wash of butter foam. This seductive and satisfying dish always beckons a second order for the table. Another appetizer not to pass up is the pan-roasted sweetbreads, simply because it comes with those wonderful, truffle-flecked creamy grits and sherry bacon jus. If you ever wondered what lobster would taste like in barbecue shrimp sauce, here is your chance. The New Orleans-style barbecue lobster appetizer is designed with Creole spiced butter, garlic confit, and fresh thyme, a great concept. I have a real weakness for authentic foie gras, and MiLa serves a very good one with a pepper jelly gastrique and toasted buttermilk brioche. This husband and wife team always fascinates me with their creativity. Main courses for dinner not to miss include the porcini-dusted black grouper served with green asparagus tips, a shallot confit, accented with a coffee glaze; and the cleverly assembled rotisserie sweet tea brined duck, presented with wilted farm greens, tender baby beets, and a date reduction (the fresh produce is provided daily from Lujele Farms in Mount Hermon). The chefs do a very nice hickory smoked rack of lamb with butter beans, finished with a spiced port reduction, and the sweet potato pappardelle with local shiitake mushrooms and shaved Georgia cheese will please the vegetarians in your group. There is a three-course lunch prix fixe for $20 that gives choices such as a garden salad or white asparagus velouté; filo-crusted redfish with a spicy lobster emulsion or roasted chicken leg confit with fingerling potatoes and wilted spinach; and vanilla bean rice pudding with a confiture of Louisiana strawberries or chocolate mousse for dessert. This is a good deal. Otherwise, lunch entrées are in the $15-$22 range. Some of the desserts are over the top, but the most refreshing ones this time of year, in the dog days of August tend to be the Louisiana citrus sorbets that utilize Plaquemines Parish citrus. The sorbets are served with shortbread cookies and mint purée. I always like a good cheese plate more than something sweet for dessert (a habit from living in Paris), and MiLa provides a nice selection of ripe domestic and imported cheeses served with warm pecan chestnut bread. For those with a serious sweet tooth, try the chocolate peanut butter tart with peanut brittle and chocolate sorbet, or the Muscadine wine gelée served with ripe tropical fruits, sweet cream, and mint chiffonade. The Renaissance Pere Marquette Hotel has been beautifully renovated post-Katrina and so has the restaurant. 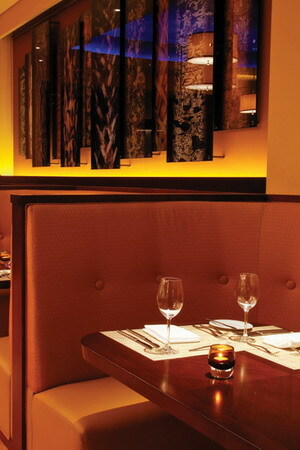 For a romantic evening out, settle into one of MiLa’s comfy banquettes and order the tasting menu paired with wines. Allison and Slade are definitely two chefs to watch in 2008. 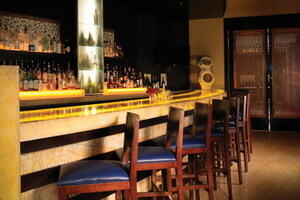 Their MiLa offers creative, superb cuisine, an alluring ambience, and first-rate service. You will leave there planning your next MiLa meal, and will most likely be craving yet another experience with oysters Rockefeller deconstructed. This is truly heaven on a plate. Here you can write a comment to the post "Inspired by Memories: chef couple puts a creative spin on southern cuisine"